The idea of post-traumatic stress disorder (PTSD) is all too familiar to military families, but sometimes facts can be elusive. Especially for Solo Moms who have also endured a long deployment, easing the other parent back into the family can be challenging enough without considering the possibility of PTSD. And even though it does not affect all returning veterans, a basic understanding of PTSD for spouses of returning veterans is important. Take time to reconnect with your spouse and also as a family. Try to avoid overscheduling events, activities, and social gatherings with neighbors, extended family, etc., right away. Avoid scheduling complicated trips. (A trip to Disneyland or a heavily packed cruise ship may not be helpful unless that is what your spouse has requested.) This can be overwhelming and distressing for a returning veteran who needs time to adjust to the different pace and expectations of life at home. Allow for family downtime. Allow the children to also ease into a two-parent dynamic, but don’t expect too much parenting from the returning vet just yet. Be prepared to solo parent for a little longer, long enough for everyone to feel comfortable and settle in. Try different methods of communication, and be patient if your spouse doesn’t immediately open up about deployment experiences or emotions. Remember that he or she has just spent a significant length of time solely in a military environment, where modes of communication are very different than they are at home. Learn to listen, and listen to learn. That’s the best way to gather information on how your spouse is coping and how you can be helpful and supportive. Take care of yourself. You likely also will experience adjustment distress related to homecoming and parental responsibility sharing. You have just spent numerous months shouldering everything parenting related. You must take care of yourself in order to be an effective partner to someone else. 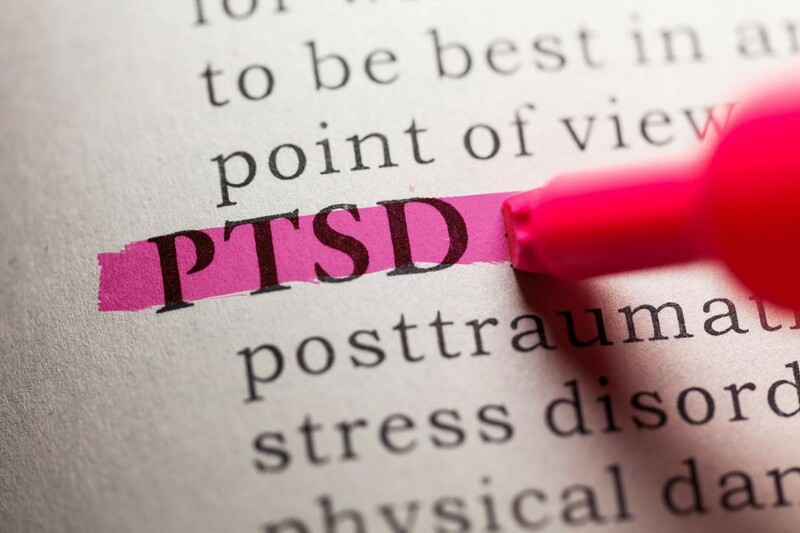 Each service member returning from a war zone will have certain common stress reactions that may include the following physical, behavioral, or emotional responses to what he or she has experienced. As time passes and families adjust to their new normal, if significant impairment in areas of functioning are noticed, the veteran may benefit from talking to someone—whether he or she chooses a mental-health professional, a fellow veteran, a trusted chaplain, etc. The stress reactions listed above would be considered normal responses to significant stressors in almost anyone’s life. If any of those symptoms worsen or persist after a period of one month following homecoming from deployment, seek help, as PTSD could be a consideration. PTSD cannot be self-diagnosed. The actual PTSD diagnosis should be made only by a highly qualified and trained health professional when certain diagnostic criteria is met. Along with meeting criteria, the symptoms must also significantly impact the person’s social and occupational functioning. To receive a PTSD diagnosis, a person must be exposed to actual or threatened death, serious injury, or sexual violence either through direct experience, witnessing it in person as it occurred to others, or having a repeated or extreme exposure to details of traumatic events (drone operators, for example). Effective forms of PTSD treatment are available and include medication and psychotherapy. It is very important to consider psychotherapeutic intervention as a way of directly addressing what your spouse may be struggling with, as medication can address only certain symptoms and can never get to the root of psychological reactions to war. Veterans and their families need to understand that they are not alone and that there are resources to help. Join our confidential community of Sisters to connect with other military spouses. Angela Ricketts is ESME’s Veterans’ Assistance/Military Families Resource Guide and the author of the memoir No Man’s War: Irreverent Confessions of an Infantry Wife. Daughter and wife of career infantrymen, she has a master’s degree in social psychology. You can follow her on Twitter at @angricketts and Facebook at Angie Ricketts. Katherine McGuire is a licensed clinical psychologist with an extensive background in trauma work. As a military spouse of 24 years and the mother of seven children, she is passionate about researching and providing effective treatments to address military-related trauma and issues of reintegration after deployment.